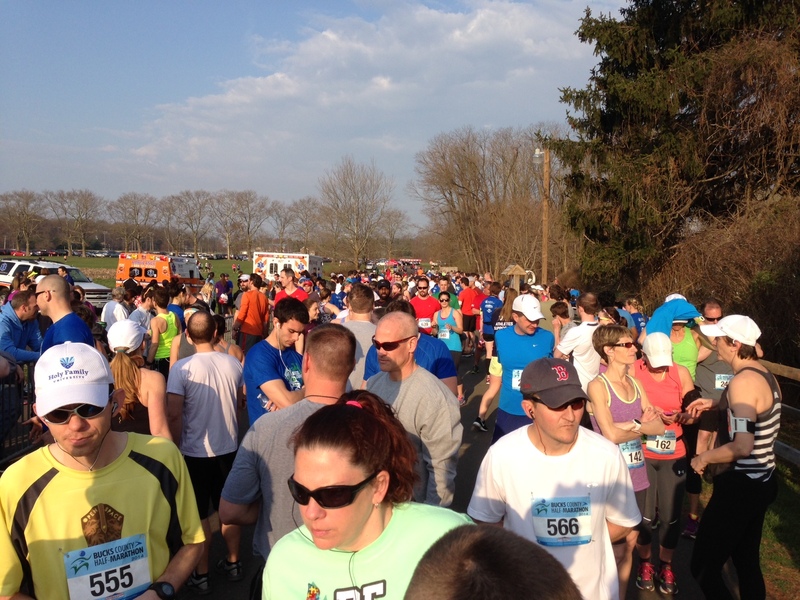 Last weekend I ran the 2014 Bucks County Half Marathon. This was my very first half marathon back in April 2011 (my wife convinced me to sign up two weeks prior to the event that time). 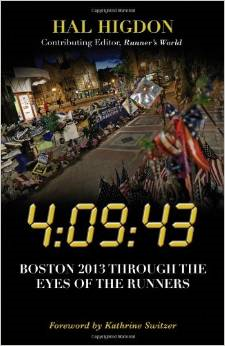 I also ran the event back in 2012 but it didn’t fit into my training program for last year’s New Jersey Marathon. This year, however, the plan called for 12 miles so this was a good fit. 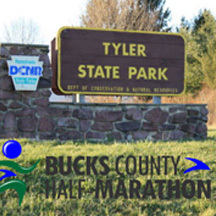 It is held in Tyler State Park in Richboro, PA and is about 10 minutes for my house. I have trained in there for a number of my marathons. It is a great place to run. As I was driving to the event that morning I realized I became one of those people who paid to run somewhere I typically run for free. I guess that makes me a ‘real runner’ LOL. The packet pickup was pretty simple. It was held at the Newtown Athletic Club. There wasn’t an expo but they did have some race merchandise (new this year). The club was local so I was able to run in/out quickly so as not to mess up our day. This was great because my last few races have had packet pickups which have not been very convenient. Did I tell you that I love local races? The weather forecast for the event was much better than in the previous two weeks (see LOVE Run and Hot Chocolate Run recaps) so I was looking forward to actually staying warm and dry. 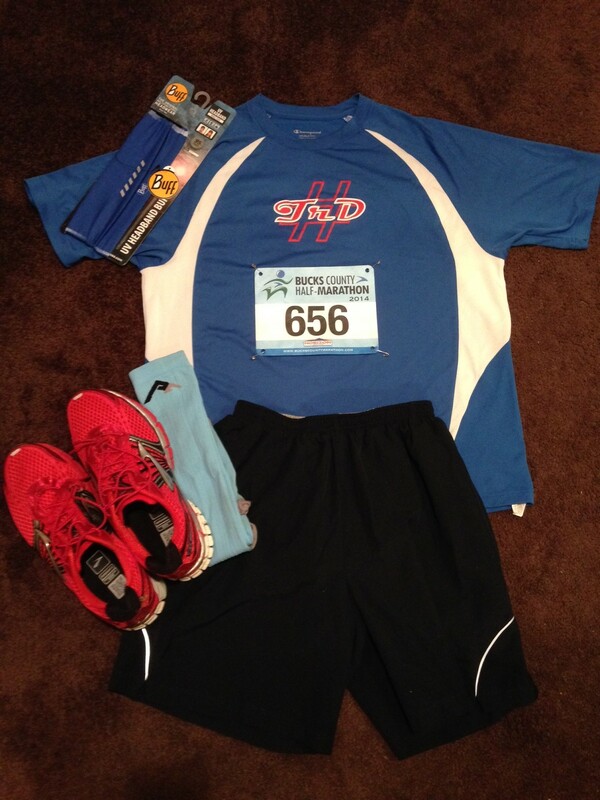 I set up my gear the night before as always before a race and chose to wear my newest shoes which I plan to wear for the marathon to get a few miles/long runs on them before the big day. They are a little red don’t you think? Being a local race I didn’t have to get up at the crack of dawn like usual. With a 10 minute drive and no parking issues that I knew of I planned to leave the house around 7am for an 8am start. No problem…or so I thought. It looks like everyone else had the same idea. 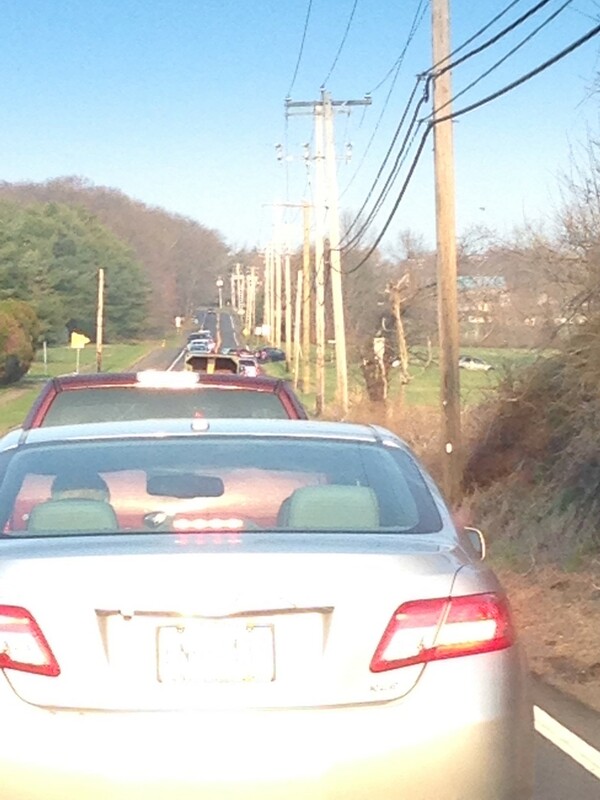 Yup…panic sets in when you are stuck trying to get into the park and it is already 7:30. I took a couple of pictures outside the park as I and dozens of others were trying to get to the starting area. I finally made it into the parking lot, stretched by my car and walked a couple of hundred yards to the starting area. First things first when you get to a race close to the start time…you hit the port-a-potties. Again, everyone had the same idea. Ugh! There were about a dozen port-a-potties for about 700 people. I stood in line as the clock ticked down to the start time. The line didn’t really move. Ugh! 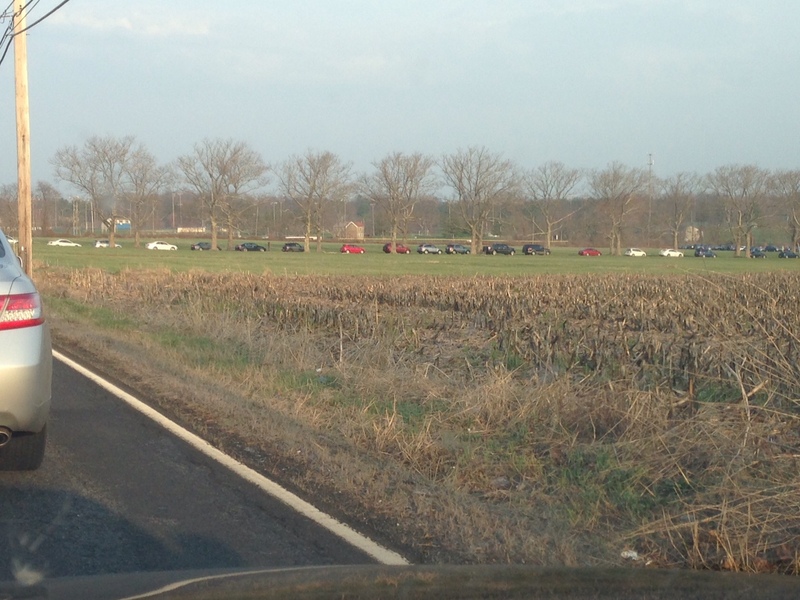 Well…I looked around and saw that a few people were making their way across an adjacent field. What happens in the woods, stays in the woods. The race was set to start at 8am (at least I thought it did). Actually, and thankfully, it started around 8:15am. I think there may have been a deliberate delay as when I was walking from the parking lot there were a few folks from the race crew running up and back with walkie-talkies. I figure they recognized the bottle neck of people trying to get into the park so pushed the start back. There were no corrals like in bigger races. The faster runners placed themselves up near the front and everyone else kind of either stood with friends, near the back if they were walking or just stood where they were. I saw someone I knew (Jason) and headed back to wish him good luck. The National Anthem was sung and off we went. Now the one thing about starting near the ‘Arts Center’ at Tyler is that by the center there is space to mill around (see the corral photo above) but within a couple of hundred yards from the start line the pathway significantly narrows. At best you can have 3 people run side by side comfortably. As you progress down that path (it’s a downhill) the sides off the path drop away so there is not much opportunity to pass other runners unless you like to live dangerously and don’t need both ankles to run on. Needless to say the first half mile pretty soon became a bottle neck. That is not the fault of the organizers but more a limit of the terrain in the park. The race didn’t have waved corrals and the one corral we did have wasn’t stacked by pace like I have seen in other races. I have been to other races when everyone goes in one big wave but they have put out signs within the corral based upon pace so people could line up under 7:00/mile, 8:00/mile, 9:00/mile, etc which meant that people would start out with similar paced runners and that would somewhat alleviate bottle necks and people trying to pass in the first half mile or so. Just a thought. It was actually too crowded that it was really unsafe for me to do my usual run/walk interval (currently using 4:00/0:45) because I feared it would be too dangerous for me to stop. Now I don’t necessarily have to take my walk intervals so I ended up skipping the first two intervals and ran the first mile with the other runners until there was enough space around me to make it safe to move over to the side for a walk break. The temperatures were already rising so I took water in early and pretty much skipped only a couple of water stations when they were close together. 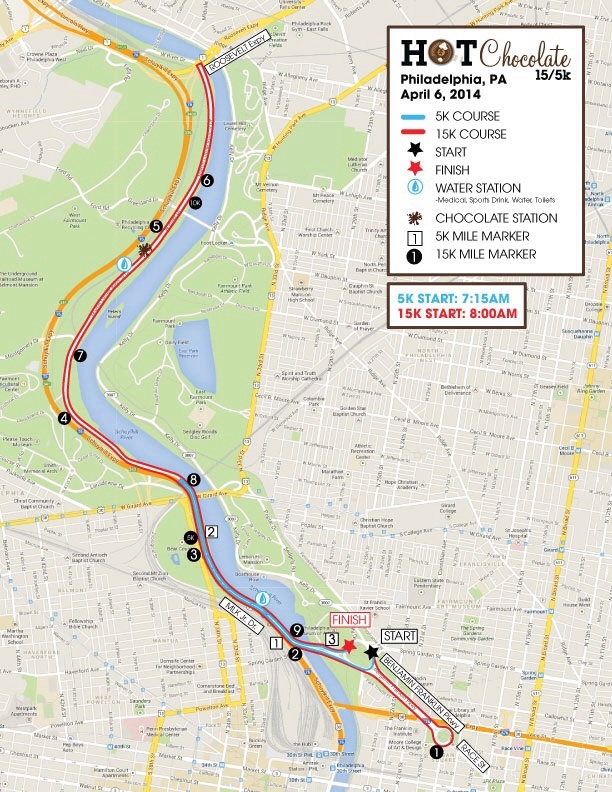 The course for the race is a small loop of 3 miles and then two 5 mile loops. The 5 mile loop is my usual circuit so I knew what to expect and where the hills were. Interestingly the 3 mile loop was different from when I ran in 2011 and 2012. Where in previous times I had run an outer loop of the park down a steep hill back to the boat house area, this took a slightly less elevated route through the local elementary school parking lot and through a parking lot within the park and back along the creek which we had run on the way out on the 3 mile loop. It was nice as I was not looking forward to the larger hill that early in the race. Nice to run something a little different. From here it was the usual (or should I say ‘my usual’) loop past the boat house and around the back of Bucks County Community College, past the farm and up the big hill towards the residential side of the park (I envy those houses every time I run past them). This loop repeats twice and with its long winding up hill direction it is usually my slowest part of the run. Today was no different. I seemed to be managing a decent pace considering and was able to keep my pace per mile below 9 minutes given the rising temperatures and the inclines. I was monitoring my heart rate as I have struggled in the past in this section and slowed myself down once I was close to 170bpm. This time I was doing fine and enjoying the run. You can see from my Garmin Activity the course and elevation. Once you hit the part of the loop past the houses there is a nice downhill section where you can easily make up time until you round the corner to the starting/finish line area which we would run through on the first loop. 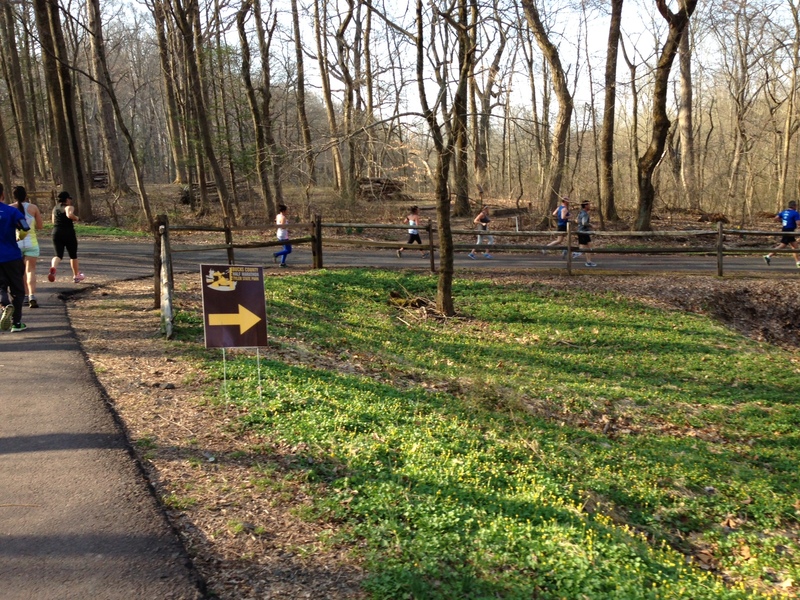 The course was open to walkers. On the first loop we passed the walkers as we came back on ourselves before mile 3. We (or I) didn’t pass too many walkers until the second loop. I will commend them as a group as even in the narrow parts of the course no-one was blocking runners coming up behind them and they all seemed to be having a good time. Personally this was a race that I wasn’t totally ‘racing’ but did have a time expectation not a time goal. I have been trying to focus on improving my speed going into the New Jersey Marathon at the end of April and I figure a good run in Tyler with all those hills is a good sign of my fitness/conditioning. 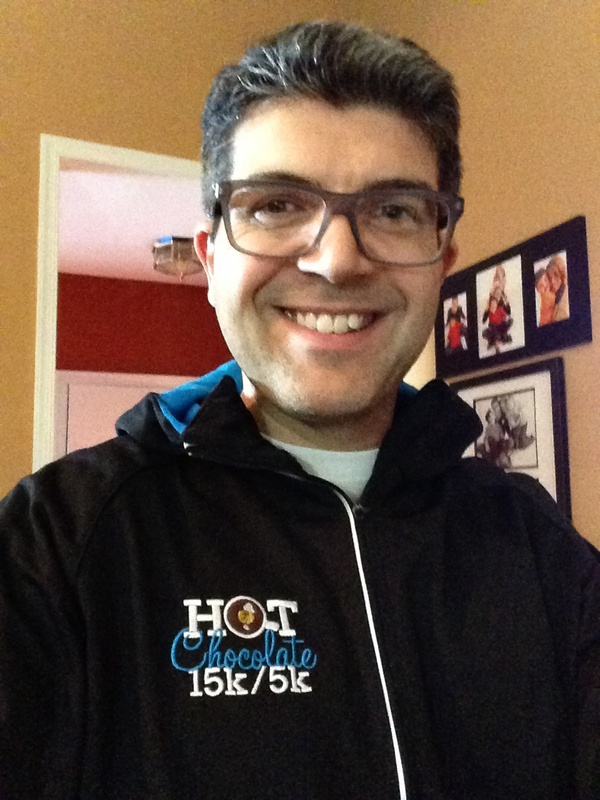 The last two races I had run (LOVE Run Half Marathon and Hot Chocolate 15K) had been good performances for me averaging 8:34/mile for the half and 8:46 for the 15K so I was keen to keep my pace under 9:00/mile in Tyler which would lead to a sub 2-hour time. I wasn’t looking to push too hard or PR as I was supposed to be in ‘taper’ mode and this was scheduled to be a ‘long run’. The run itself felt comfortable. I never felt like I was pushing nor did I feel like I was running too easy and ultimately my finish time reflected this. I was very happy with my time. I was under 2 hours and beat my 2012 finish time. 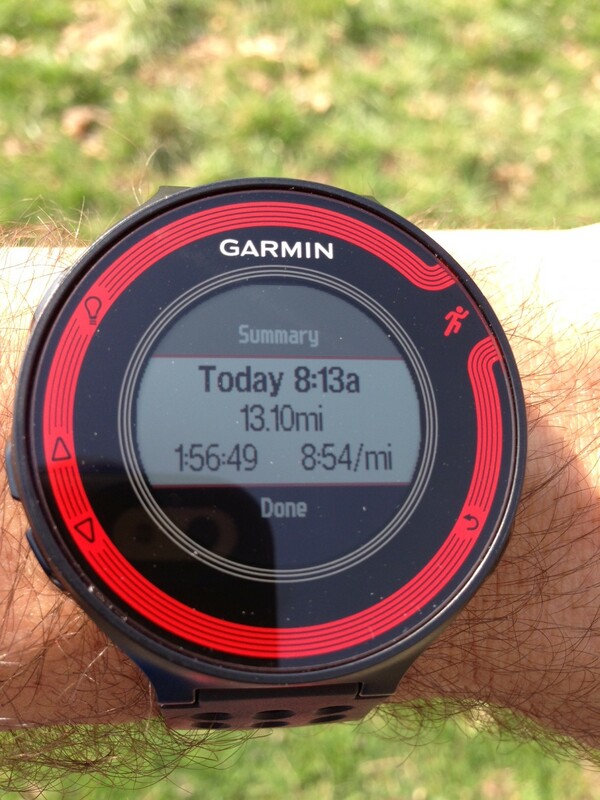 That made for two sub 2-hour half marathons in 15 days. 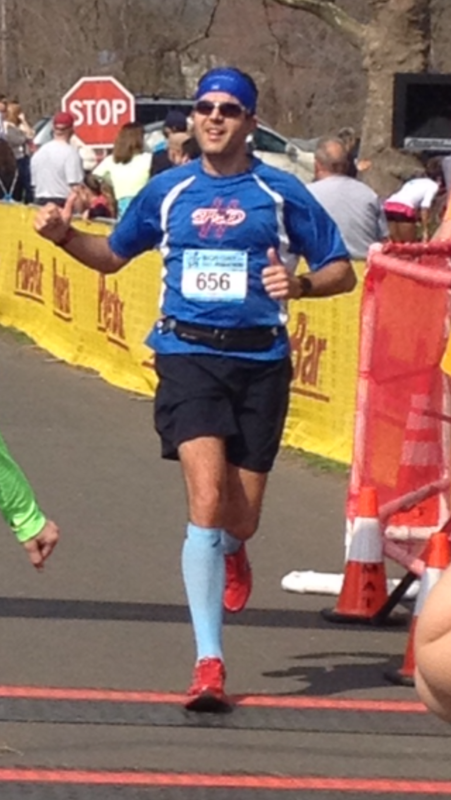 I finished with an official time of 1:56:45 with an average pace of 8:54. The medal goes well with my very red shoes. I think I need a running outfit makeover. 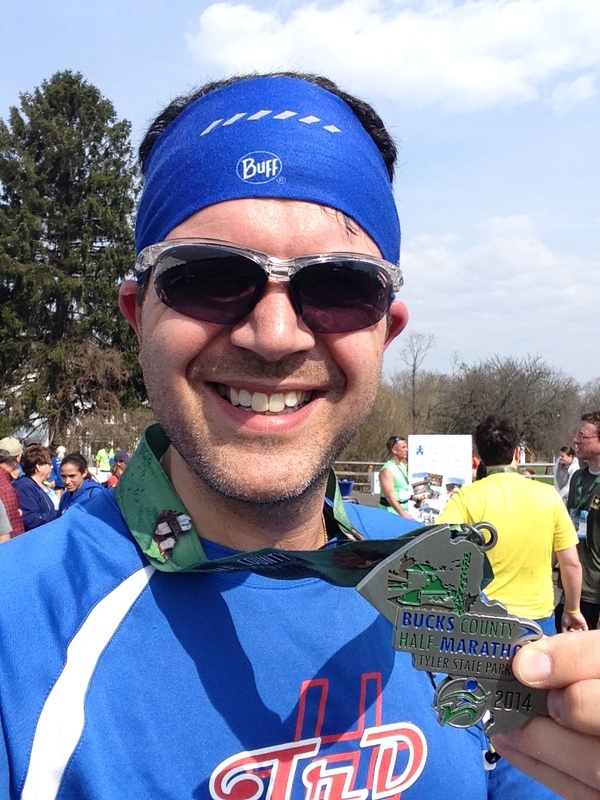 The finisher medal was in the shape of Bucks County, PA and was nice. 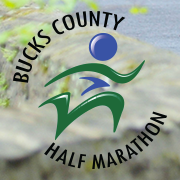 Very impressed that the actual medal ribbon had different scenes of Bucks County printed on it. The finish line area was in the small parking lot to the side of the start line. There was water, soft pretzels, bananas and even pizza. 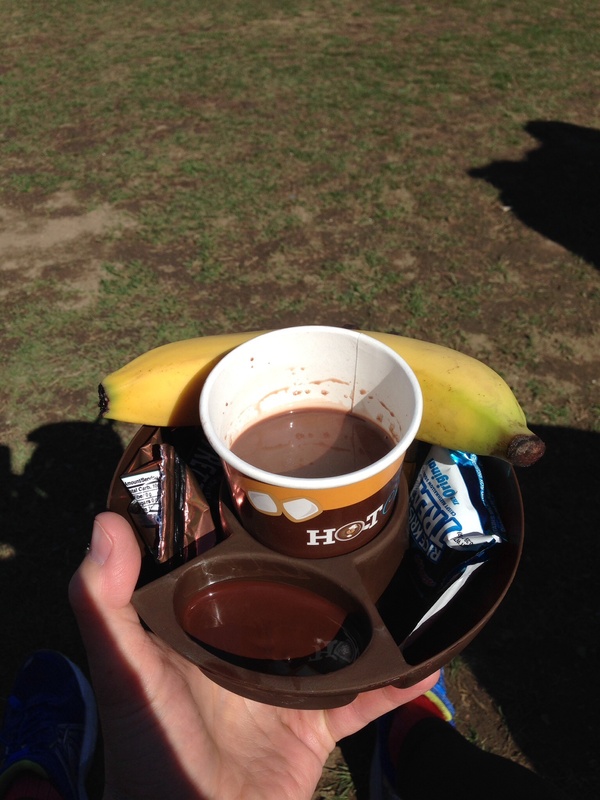 There were some local vendors who were sponsoring the race so they had samples of their wares. There were smoothie samples (which I skipped) and there were bread/cake samples (which I didn’t skip…multiple times). The crowds were decent at the finish line for a local race. I only saw a few folks around the park cheering others on but seeing as this was a 5 mile loop it made most sense to stay near the start/finish line area as you would see your runner pass by as they began the second and final loop and it was great to hear the encouragement. One thing I did notice was that there were spectators in the finish line area eating some of the pizza and other refreshments. I didn’t stay too long as I had a busy family day ahead. I heard from another member of my running team (Mickey Milers) the next day that for the walkers the post race refreshment area was packed up by the time that they finished. Only the timing mats were out to record their finish time. The race website said that the race was open to walkers so it seems a shame that they didn’t get to experience the same benefits that the runners did. I hope in future years that everyone is treated equally. Overall it was a great day for a run and a nice (if not familiar) race. Would I return again? Perhaps depending on my schedule. The novelty of running a half marathon in Tyler Park where I do a lot of training doesn’t thrill me as much as it used to but the atmosphere was good. I would recommend this race to folks who don’t train here as it is a good challenge in nice scenery. Up next I have to get through the taper, learn to manage with limited mileage and catch up on my sleep. I take away from this the confidence that I am maintaining my goal pace of sub 9:00/mile going into the New Jersey Marathon. Fingers crossed I run a sensible and comfortable race. This was a nice warm up for me. Today is the day that Annual Pass Holders and Disney Vacation Club Members who are also runners have been waiting for. 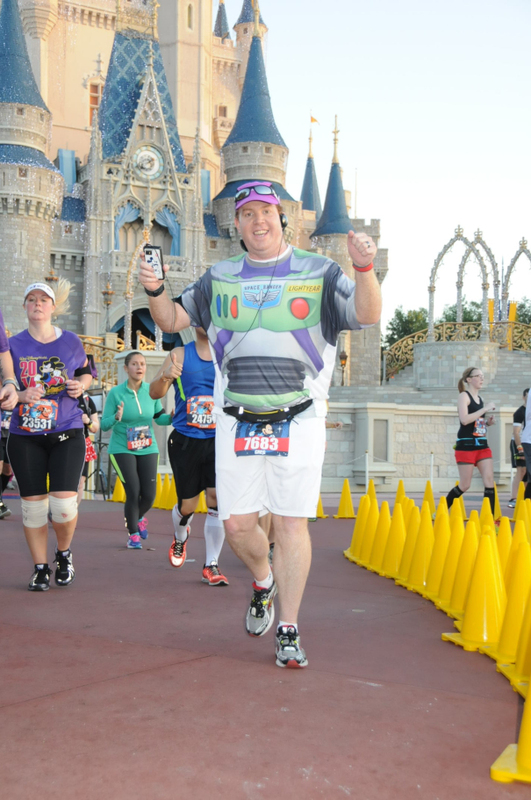 Today is the day they can pre-register for the 2015 Walt Disney World Marathon Weekend! If you’re not an Annual Pass Holder or Disney Vacation Club Member, fear not. Regular registration opens next Tuesday, April 22nd. 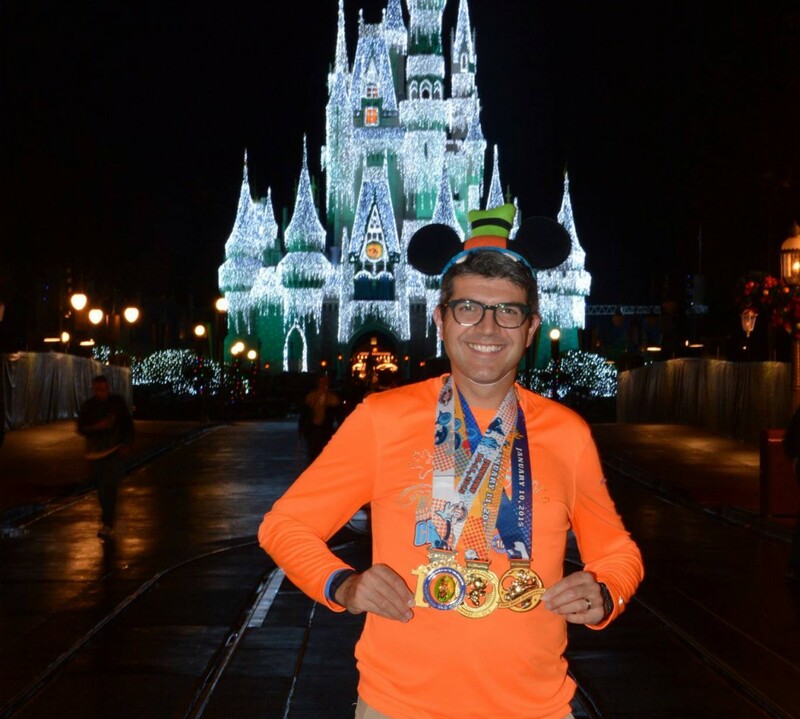 If you are an Annual Pass Holder or Disney Vacation Club Member, you might want to read Matt’s, The Run Streak blog about how to register. 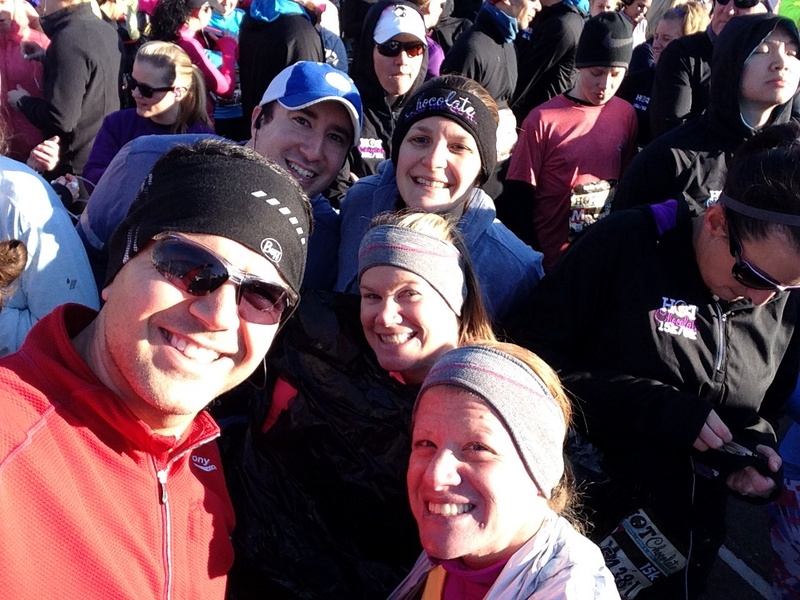 If you do follow Matt’s advice on how to register, but find that the race is filled up, check out Patty from My No-Guild Life’s blog post today. So, even if you find that you are unable to take advantage of the pre-registration, there is still hope. Are you on the fence about registering? 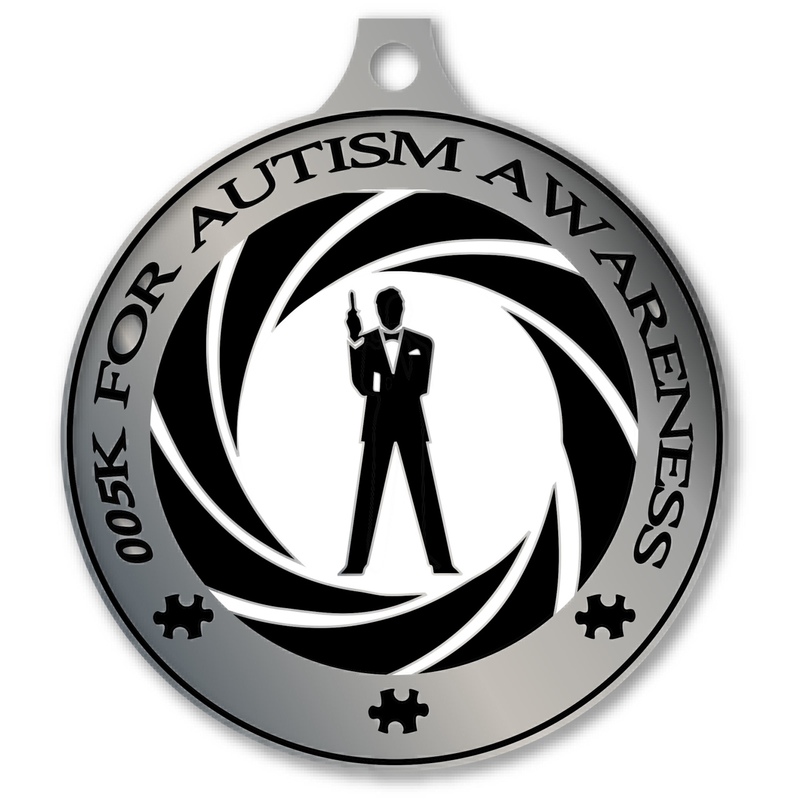 I got a pleasant surprize in my email this morning from the National Director of ‘Team Up’ for Autism Speaks. They received their allotment of spaces for the 2015 Walt Disney World Marathon Weekend and opened up the site for early registration (general registration is on April 22nd). 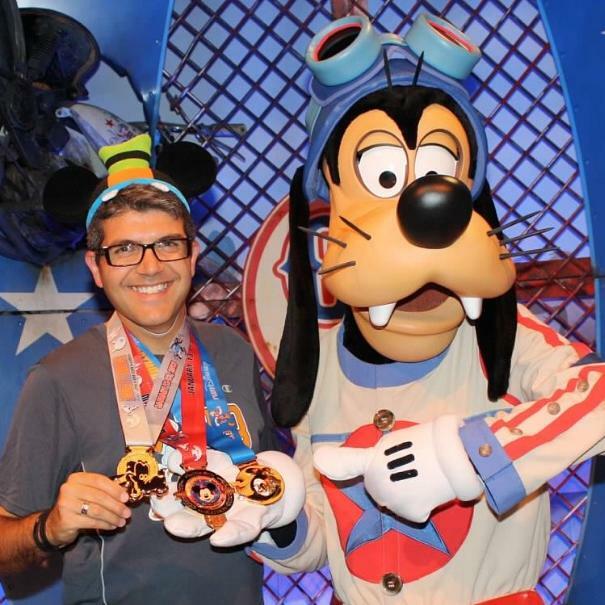 So I am pleased to announce that in January 2015 I will be running the Walt Disney World ‘Goofy’s Race and a Half Challenge’ (2 days, 2 races, 39.3 miles) with ‘Team Up’ with Autism Speaks to raise funds and awareness for autism. 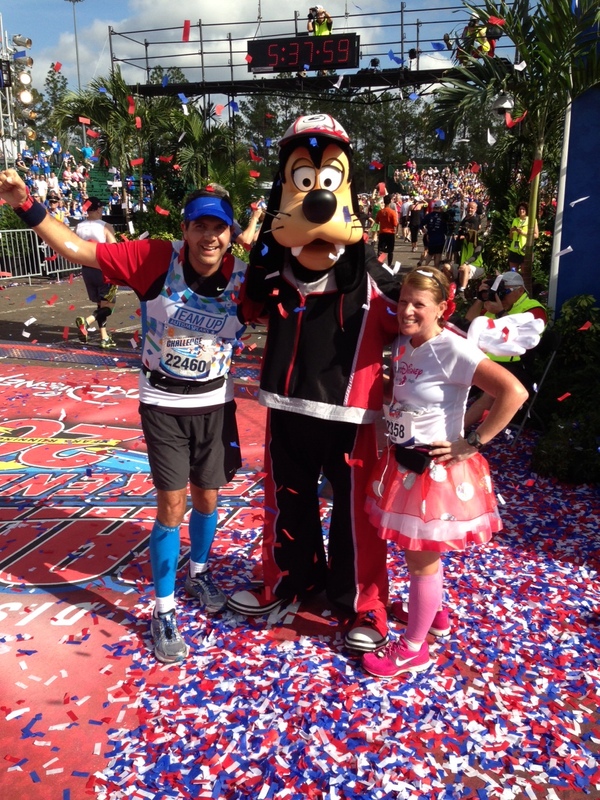 In January 2013 I ran the ‘Goofy Challenge’ and raised over $3,400. In 2014 I ran the inaugural ‘Dopey Challenge’ and raised over $3,800. My goal in 2015 is to match or better this total. Earlier this year when Shari returned from running the 2014 Walt Disney World Princess Half Marathon ‘Glass Slipper Challenge’ she expressed interest in joining me for the 2015 ‘Goofy Challenge’. This morning when the link came through for me to register she told me that we should both register with Team Up together. That felt awesome. I was fully prepared to sign her up as a general entry runner but now that we are together as a team and raising funds together for our team that is very special to me. 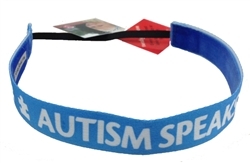 We both have a close family connection to this cause as our niece in the UK is on the Autism Spectrum and although we are far away it is some way we can give to families with similar situations and needs. Thank you in advance for your ongoing support of me and in following this blog. Lots of things to look forward to between now and January 2015. 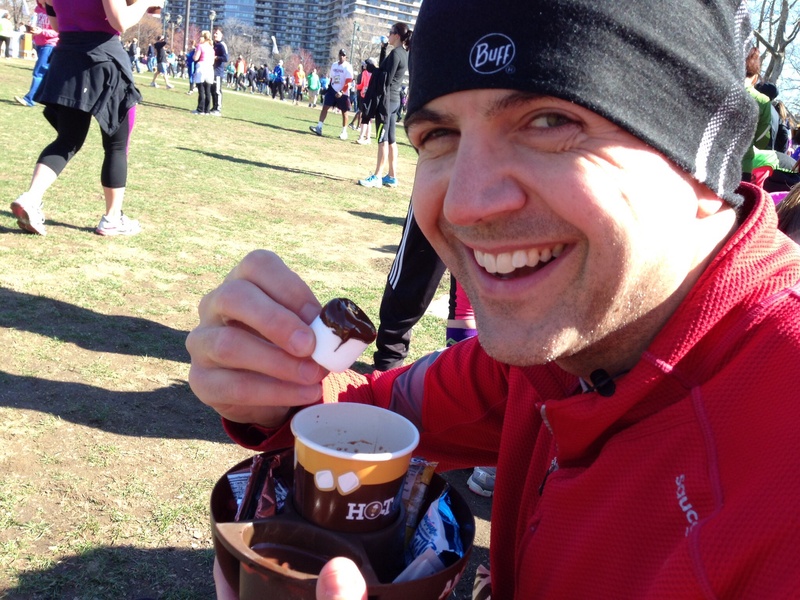 This was the first time that the Hot Chocolate race series had come to Philadelphia. 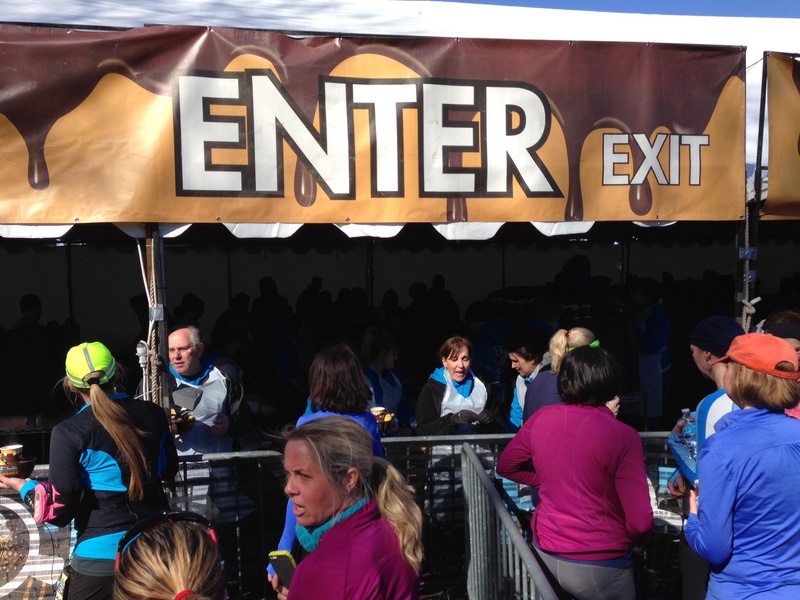 I remember encountering them for the first time during the expo at last years ‘Rock ‘n’ Roll Philadelphia Half Marathon’ where they won me over with the chocolate fondue. Did I mention there was chocolate involved? 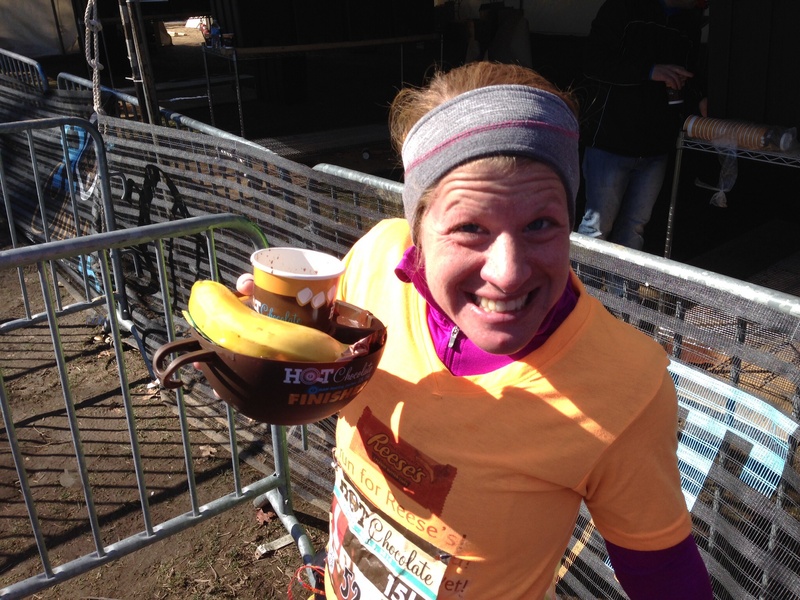 This race happened to achieve two fixes for my addictions…running and chocolate. Not always on that order but they mix well. 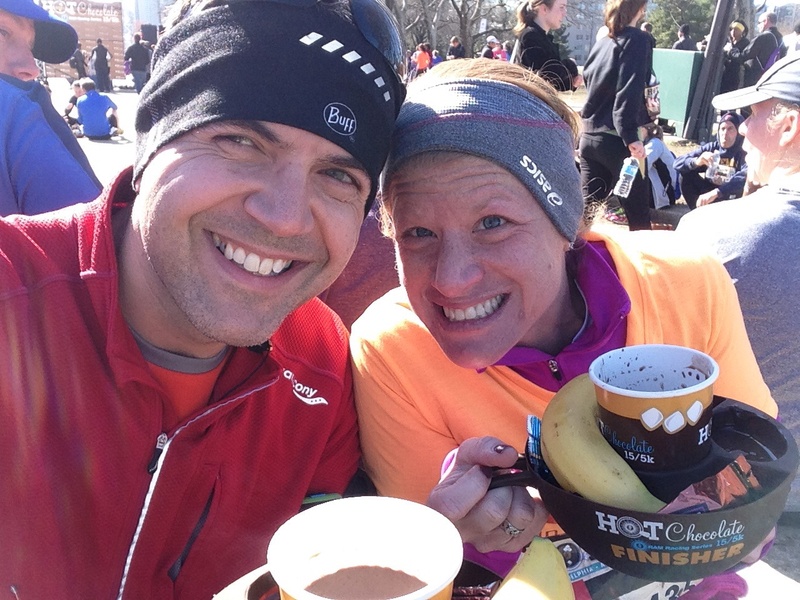 When we first signed up for this race my wife commented that a hot chocolate race in April didn’t seem right as it was now Spring. 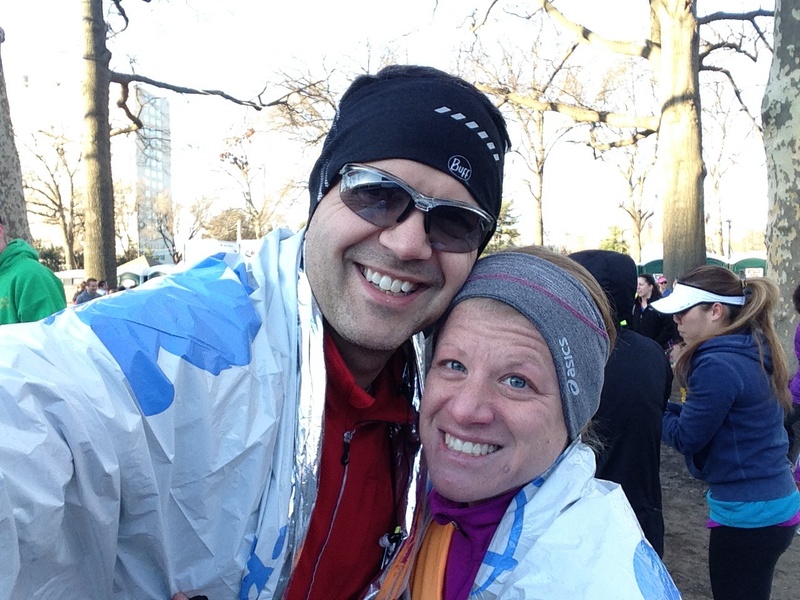 Well, as we walked from the parking to the start line shivering yesterday she agreed it was a great idea. Compared to last weeks ‘LOVE Run’ Half Marathon in the cold and rain I was much happier with the conditions, even though it was colder it wasn’t raining. We got up early, met my sister and law and her fiancé and we all traveled down to Philadelphia together. There was a 5K race about 45 minutes before the 15K started so we arrived early in case the streets around the starting area were blocked off from traffic. 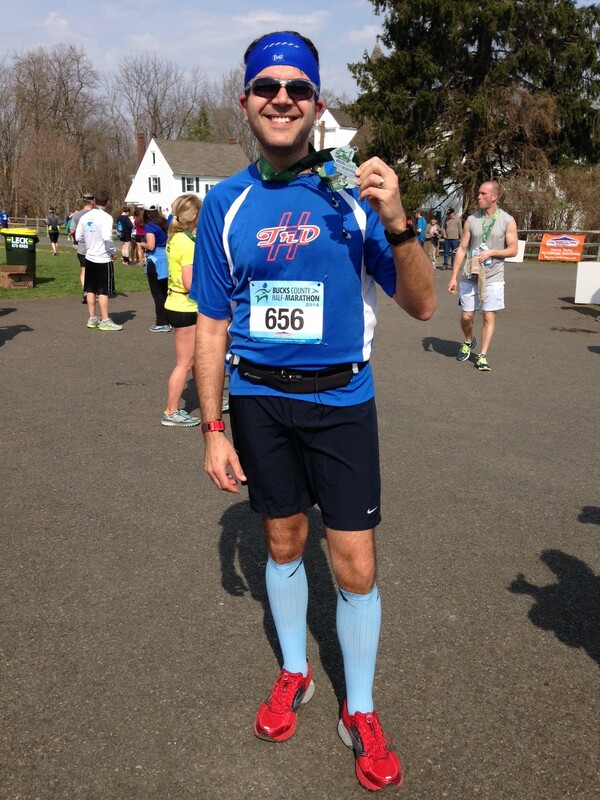 I wasn’t sure how I planned to run the race as I actually ran my last long run for the upcoming New Jersey Marathon (20 miles) the previous day, but having taken an ice bath, stretched and slept in a pair of compression sleeves the night before I felt good (tired but good). Having had a good stretch in the parking lot we walked to the starting area just as the 5K corrals were being let go. We met up with our friends, checked the bags and tried to stay warm. 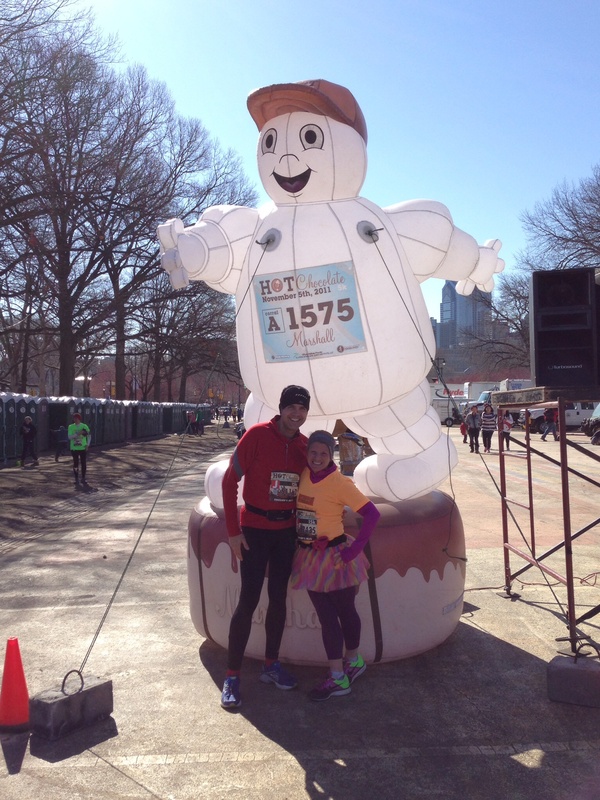 Handy hint – keep your Mylar blankets from previous races, they come in useful on these cold morning starts. Also new today I was wearing a ‘Buff Band‘. I usually run in a hat or visor but decided after some recommendations from friends to try something new today. It was comfortable and kept my ears warm without getting me too warm which a beanie would have. The temperatures were predicted to be warmer around the time we were due to finish and having raced in a beanie before I know how warm I can get. 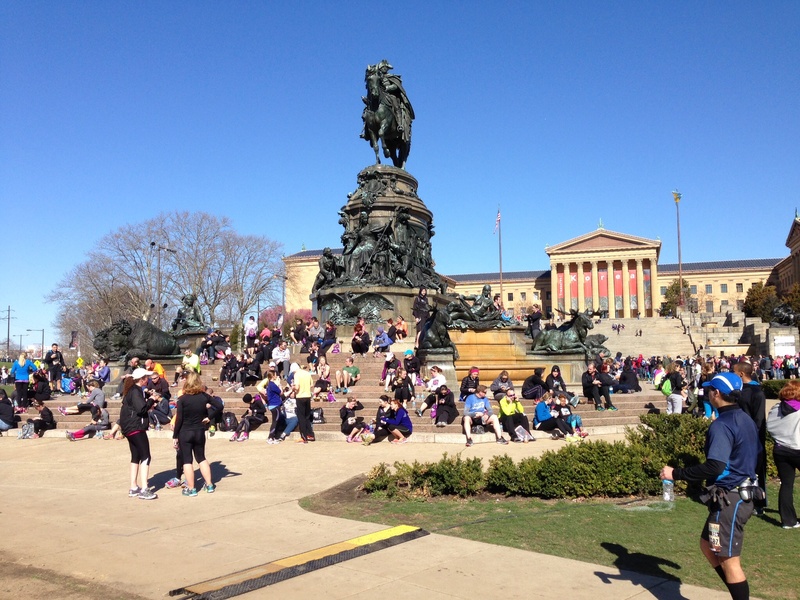 There are so many options for race courses in a Philadelphia but most start and finish around Eakins Oval just opposite the Philadelphia Museum of Art (think ‘Rocky’ steps). This course headed out along the Benjamin Franklin Parkway, ran a loop clockwise around the circle at Logan Square and then back up to the Art Museum, running to the left along an out and back on West River Drive to finish at the steps of the Art Museum. 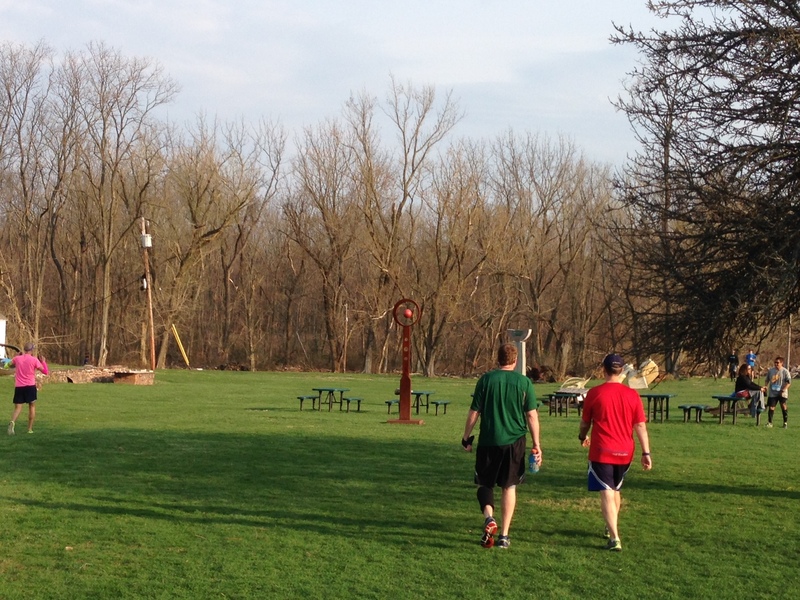 A nice, fairly flat (except for last 1/4 mile) run along the river on a nice spring morning. At the turn around I decide to ditch the walk/run intervals and run back in with my wife as there were only 4 miles left and I was feeling okay. We were running a decent pace which was about 8:45-8:50 minute miles. The sun was shining and when we were not in the shade the temperatures were great for running. We saw our family and friends as we were on the back portion. I find it is always easier and a good distraction to look out for folks when you are running. It takes your mind of what you are actually doing LOL. We walked through the water station around the 10K mark and with a 5K left to go we buckled down for the finish. Actually picking the pace up a little. My wife wanted some water as we entered the final couple of miles but the water station didn’t appear until almost mile 9 which was a bit late as there was only 0.3 miles left to go. 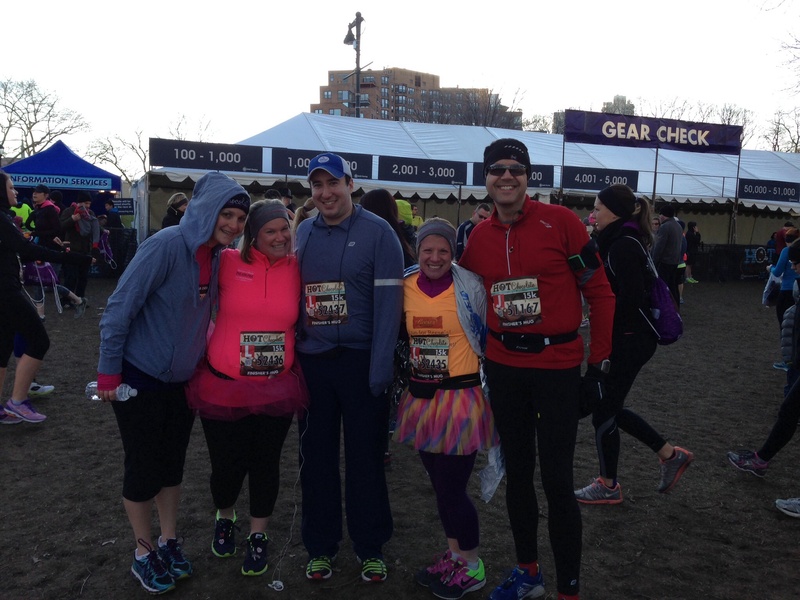 The sun was out and we saw the finish line in sight and sprinted to the finish line together. We crossed the line in 1:22:36 at an overall 8:53 pace per mile. A good race and we were feeling fine. What magic lies within this tent? 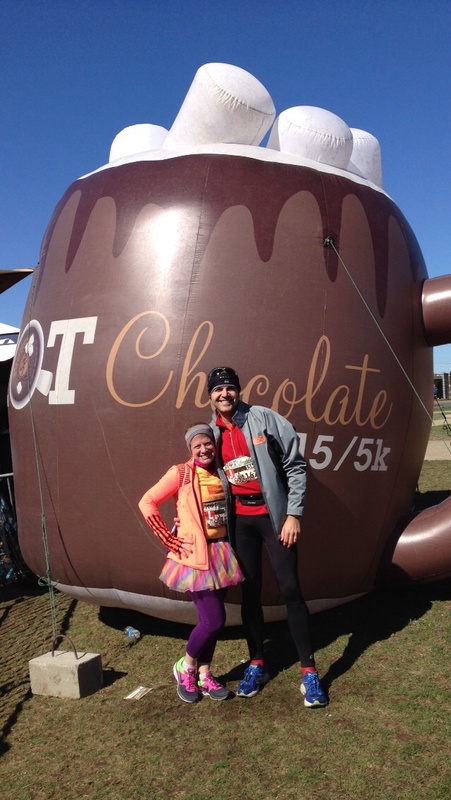 Attached to everyone’s bib was a voucher for a hot chocolate mug. We headed over to the tent where everyone was provided with a giant mug which contained a cup of hot chocolate in the middle and in compartments around that was chocolate fondue and to dip in there was a marshmallow, a Rice Krispie treat, some pretzels, some graham crackers and a banana (I assume for the health conscious LOL). Did I mention there was chocolate? My wife and I found a place to sit and then, as my wife will tell you, ate the whole post race food 🙂 We joked that we never eat all the food they give us but this was an exception. I have to say it was very rewarding and we had a blast with this. Sugar highs made us both giggle and we were as messy as they come. Eating chocolate fondue is fun. I was so messy even my 3 year old would comment on the mess I was making. They provided a complimentary ‘moist towelette’ with the mug and it was woefully inadequate for me. 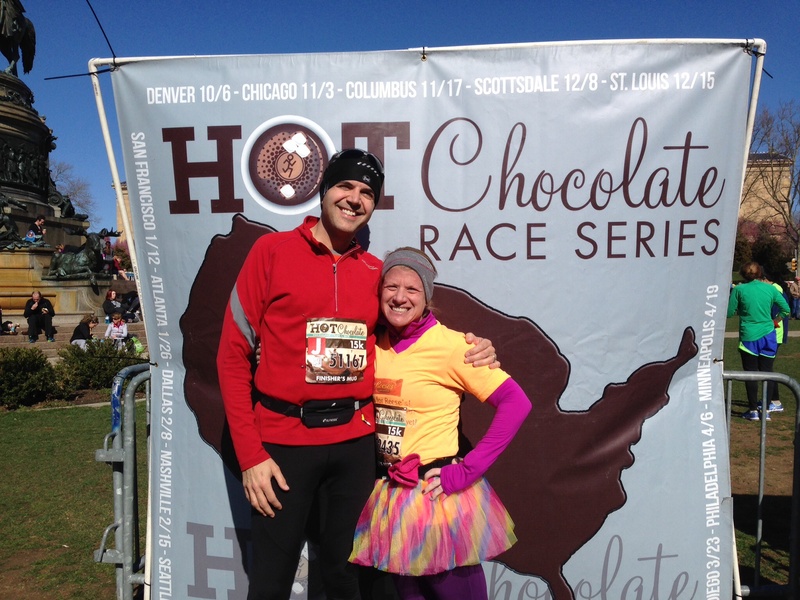 I think I needed to be hosed down as I was wearing so much chocolate. I eventually ran out of things to dip into the fondue…that’s what fingers are for, right? Did I mention there was chocolate? 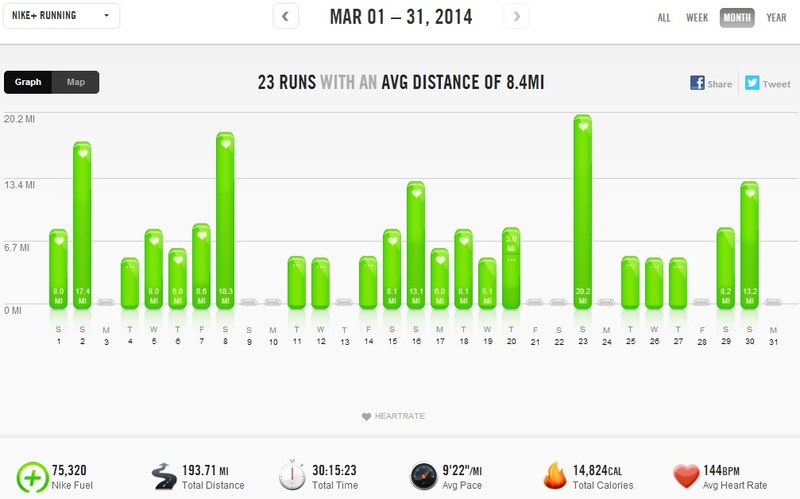 This was my biggest month of training by far since I started running back in 2010. 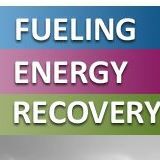 I definitely had a few ‘moments’ this month feeling tired and sore but made a few adjustments to my training and finished the month strong. Winter was still very much with us as we began the month so I was getting my training runs in on the treadmill at first. This included my longest treadmill run so far of 17 miles. Thankfully I discovered a wonderful (and at least for me) entertaining podcast which took my mind of the task at hand and got me through the run. This was followed up with a quick business trip to Fort Lauderdale, Florida where I took advantage of the warm weather and had a couple of outdoor runs wearing t-shirt and shorts. Needless to say I ran further than planned on those days…I got lost twice and had to use my iPhone Maps to get me back to the hotel. This was then followed by a return to winter….and an 18 mile training run on the treadmill. Ugh!!! 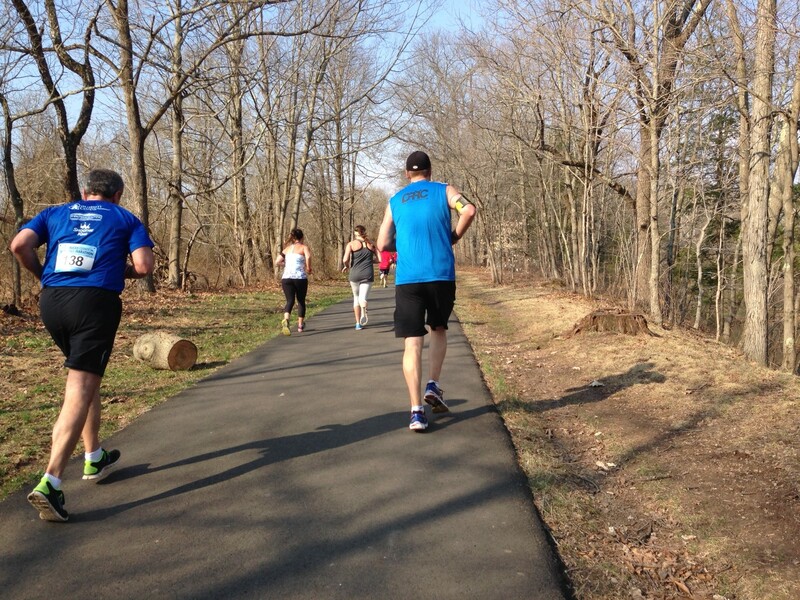 Around mid-March we were fortunate to have some better/warmer weather for a few days and I was able to keep my training on track and for a week I was able to run outdoors in the park where we live. It was great to be back (if a little wrapped up for the weather) and I had some good runs getting used to some proper hills again (there were no hills on my work trip to Fort Lauderdale). Next up was a business trip to Atlanta, Georgia where I had a good few runs in Piedmont Park and also joined a weekly group run from Jeff Galloway’s Phiddipides store. That was really fun and the weather, although a little chilly earlier in the week, was glorious for my last run out there. It was during that week that my nagging heel pain started to really bother me. I took a couple of days off but still had a 20 miler to run as part of the training for the upcoming New Jersey Marathon. Since I had to get some physical therapy back in 2011 when I started running I have run with an over the counter shoe insert which acts as an orthotic to support the arch in my foot. It is a really hard/stiff insert and I have been buying a new set for every new pair of running shoes that I bought. 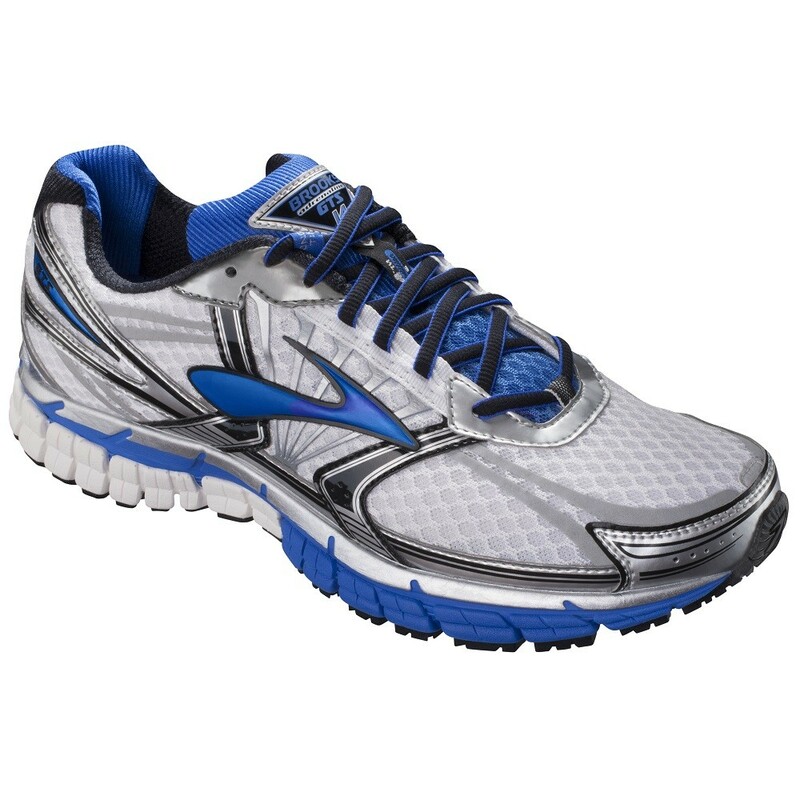 I decided to look for something with a more plush heel to see if that would help and I purchase a pair of Brooks Transcend (Brook’s new flagship stability shoe). While doing some research I looked into reviews for people using orthotics in these shoes. Looking at some of the message boards around I started thinking that the shoes are designed to provide support as needed, perhaps I didn’t need the orthotic in my running shoe as the shoe is design for stability and to provide pronation support. In my everyday shoes (not designed for running) I wear and orthotic with no problem but with the stability shoe was I doubling up on the support? I decided to take a couple of runs without them, although I still ran the 20 miler with the insert in just in case. I actually took out my iPod with me to get me through that run, something I had not done on an outdoor run in almost 3 years just to get me through any discomfort. I took my first few runs (all 5 milers) wearing the standard insoles that came with the shoe and had no issues. The test would come on the longer distances. As the month closed I ran an 8 miler and raced in the inaugural Philadelphia LOVE RUN all without the orthotic and felt no discomfort. No heel pain during or after the run. 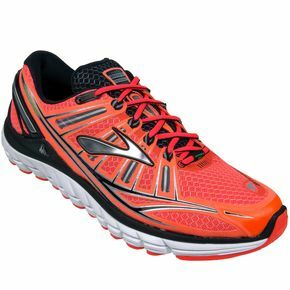 I have subsequently returned to wearing my Brooks Adrenaline’s as I feel I don’t need the additional cushioning on the Transcend (and can save $50 on the cost of the shoes vs the Transcend). So I will attempt to continue running with the support designed into the shoe rather than adding an additional overriding support in the shoe. So far, so good. I ended the month feeling good and set out to run the LOVE RUN half marathon at pace to see how my fitness was going into April and the marathon. Despite the appalling conditions (see here) I actually ran a sensible, comfortable race with a negative split and my feet felt comfortable without the orthotic. I actually ran my second fastest half marathon which also felt good and has given me some confidence going into a busy April. As the month drew to a close the results of the lottery for the 2014 New York Marathon were announced and neither my wife and I were able to secure a place. We are looking at alternative marathons for this Fall as we will not be able to attend the Philadelphia Marathon this year. 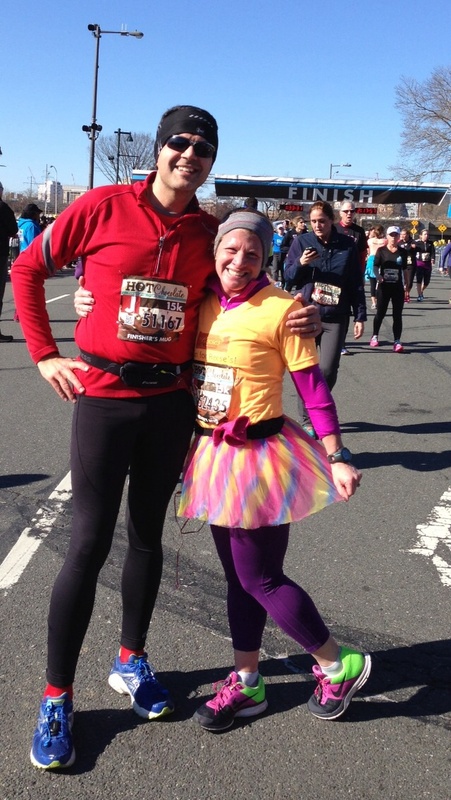 Currently we are looking at the Baltimore Marathon or the Atlantic City Marathon (both in October). I look forward to improving weather and running outdoors more than indoors in the coming month. April also brings about registration for the 2015 Walt Disney World Marathon. In 2015 I will again be signing up to run with Team Up! 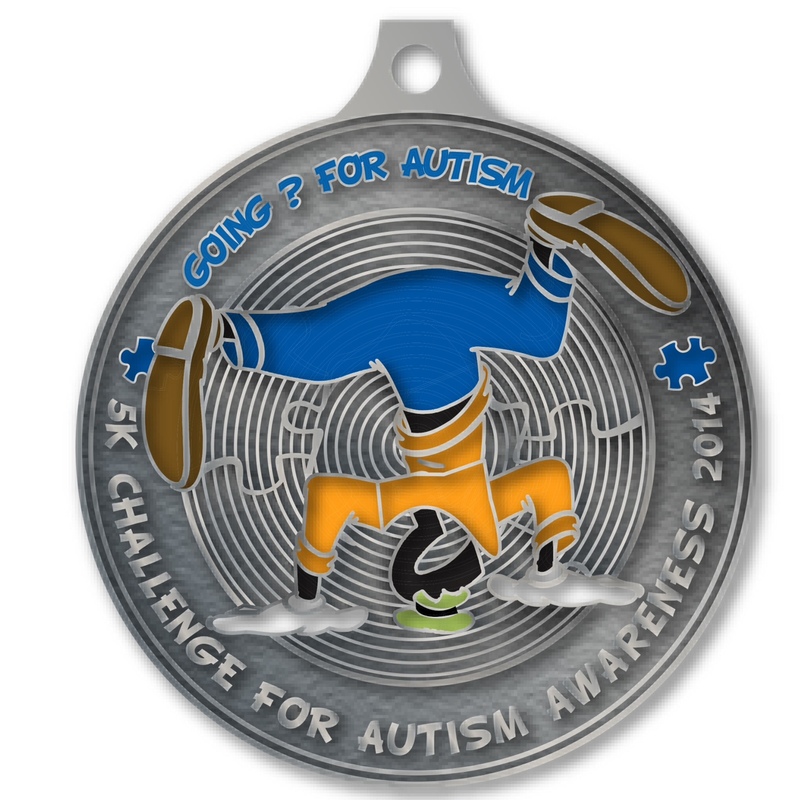 with Autism Speaks but this time running the Goofy Challenge and not the Dopey Challenge. My wife also said she would be up for running the Goofy Challenge with me so that will be lots of fun. In the meantime, I am still running with the ‘Mickey Milers‘ Running Team to raising money for the ‘Give Kids The World’ Village in Orlando, Florida so any support you can offer is greatly appreciated. Here is my personal link.